Where are all the men in Lagos? I’ve been hearing/ reading about how there seems to be a shortage of men in Lagos,I personally don’t think there’s a shortage of men in Lagos, it’s more of a shortage of good men! Well, i read about tinder and I’ve heard a couple of friends talk about it,so I downloaded Tinder. Tinder is a location-based social discovery application that allows people who are interested in each other to communicate. 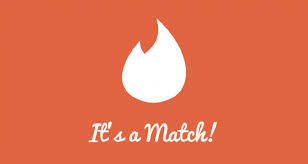 The dating app allows users to chat with their matches. Swipe left to reject, swipe right to accept, this part can be fun! You get a notification when someone you like,likes you back. I think the application is based on the belief that its easier to approach someone who you know wants you to approach them. You live most of your life on the internet, so i think the internet is as good any place to start searching, if you are searching. Why did I uninstall it? 1. I felt like it was exhausting my data, maybe not, but if u live in Lagos you know how expensive internet can be and I don’t play with my data. 3. there were men who I know in real life that are creeps there. 4. You log in with your Facebook , so you end up finding a lot of people from Facebook. If I wanted to meet men on Facebook I’d do that on Facebook. 5. I don’t want to meet men in my area. but before I uninstalled i found a match, so I guess this story might just have second part. They are actually on tinder!. Interesting, to say the least! Can one ever find a good man on the Internet? Maybe, maybe not.I know of one person it worked for, they actually became man and wife. Don’t quote me though,because I don’t know if they are still together. If u’re going to try it, just let all the “senses” function well, so ur antenna cld pick up all the necessary signs. .